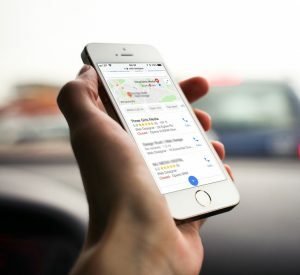 Local Search Engine Optimisation (SEO) is becoming increasingly important, and all of the major search engines now place importance upon local search in their algorithms which means that registration with the various local directories that are powered by each of the search engines is more important than ever, and may positively affect search engine rankings. The major players are Google Places, Yahoo! Local and Bing Local. In each case, the search engines allow you to "claim" your business listing by registering your business name and address with them with a link to your website. They usually require you to complete a verification process which proves to the search engine that you are actually the business owner. You are also able to include a plethora of other information including a description of the business, opening hours, payment methods accepted (if you are a retailer), key services, directions and parking arrangements. Google has, with Google My Business, taken this a stage further and allows you to customise your listing with your logo, photos, video and even customer reviews. Local reviews now also play a part in Search Engine rankings. We can handle the whole local search engine optimisation process for you, registering your business with each of the major search engines and customising that listing with your choice of graphics and other information. We can also help to initiate customer reviews through our email marketing service. We can design and run a campaign for you offering your existing customer database a modest incentive for visiting your listing and submitting a review. It will almost certainly be worth it!